Are You Ready to Relax? Reduce Stress? Be More Productive? Learn To Manage Your Stress! Achieve Success! Does Stress Affect Different Parts Of My Body? What Kinds Of Events Produce Stress? What Are Some Physical Symptoms Of Stress? What Behaviors Can Stress Create? Our programs are a combination of advice, support and guidance for understanding and dealing with your stress and how to reduce stress and its effects. We conduct individual programs, stress management programs for organizations and businesses, and programs for executive stress management. These may include evaluation and analysis to determine programs for stress prevention, stress management and managing performance. Call 561-793-3393 to schedule your Breakthrough Stress Management appointment. Breakthrough Stress Management can organize customized sessions and seminars that may include nutrition, exercise and sleep programs to provide specialized coaching in dealing with these stress related problems. With extensive experience in helping people with a wide variety of issues that often arise from stress, the Breakthrough Stress Management programs can be tailored to the specific needs and goals for individuals and organizations. Call 561-793-3393 to schedule your Breakthrough Stress Management assessment. I have had Arlene J. Sherman utilize her talents to help me manage stress. I highly recommend her to anyone that is having stress related issues. 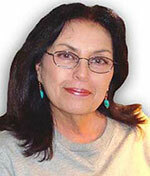 Arlene Sherman is a stress management consultant and certified hypnotherapist. She guides and coaches audiences with stimulating and humorous talks centered around her central mind and body health program…Power Your Mind, Manage Your Stress and Accomplish Your Goals. Stress often prevents us from being motivated and achieving our goals. Arlene conducts her stress management programs with a great sense of wit and knowledge in all aspects of life…this makes the programs very human…everyone can achieve better results and get closer to their goals by reducing stress. Breakthrough Stress Management organizes and conducts stress management lectures, seminars and conferences for business teams and groups. Our stress management programs can help you control stress related conditions like migraine, headaches, hypertension, alcohol or drug abuse and muscle problems which lower productivity and diminish the group or workplace culture. Breakthrough Stress Management sessions are currently conducted in person at the Wellington Professional Center located at 12161 Ken Adams Way in Wellington, FL. Wellington is conveniently located a short distance from West Palm Beach and the Palm Beach International Airport. A short drive from Lake Worth, Delray Beach and Boca Raton, our offices serve clients from a wide area. On site sessions can be arranged for organizations and businesses following an initial assessment. Telephone sessions are available for individuals if you are not in the surrounding area. All sessions are by appointment only. If you are in a different time time zone, please call during the Eastern US Time Zone hours of 9:00AM and 5:00PM.